From pierogis to samosas, dumplings are a universal dish, embraced by cultures around the globe. But no one values the seemingly endless variations of texture, size, and fillings quite like the Chinese. In fact, the earliest recording of the dish can be traced back to the Eastern Han Dynasty (25 AD-220 AD) in China. The legend states that a man noticed that peoples’ ears were suffering from frost bite. He decided to make a dish in the shape of an ear to cure the cold—hence its current iteration. The first dumplings had lamb, chili, and herbs inside, and their soothing qualities quickly gained currency across the country. Due to mass immigration waves, Los Angeles has continued to carry the torch for Chinese dumpling tradition. What sets the dumpling culture apart here is sheer variety—you can fine representatives from Shanghai, Beijing, Jiangsu, Tianjin, and beyond. 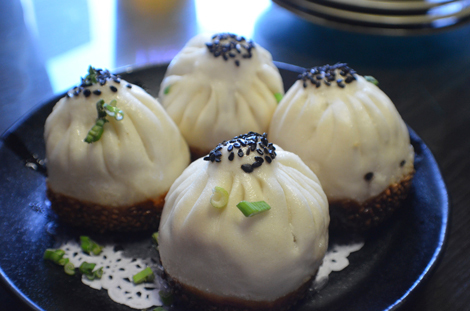 There are even variations that were invented in Los Angeles, like the hui tou potsticker. 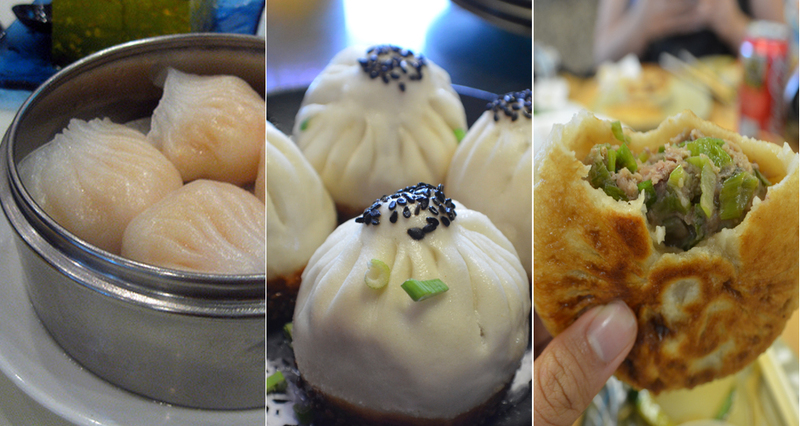 If you’re going to judge the merits of Los Angeles’ Chinese cuisine, dumplings are a good place to start. Broken down by region, here are First We Feast‘s 10 essential dumplings to understanding L.A.’s varied repertoire. 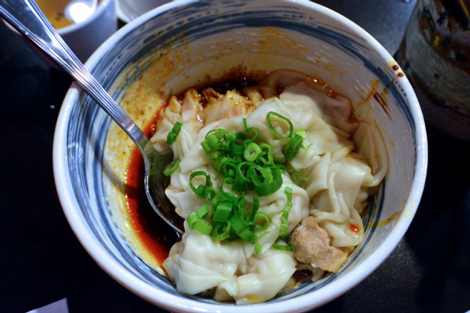 Wang Xing Ji (also known as Juicy Dumplings) makes food inspired from Wuxi in the Jiangsu province. Known affectionately throughout the country as the Land of Fish and Rice, the region is know for dumplings that are sweeter and commonly stuffed with fresh, pulverized crab because an abundance of crustaceans during certain months of the year. 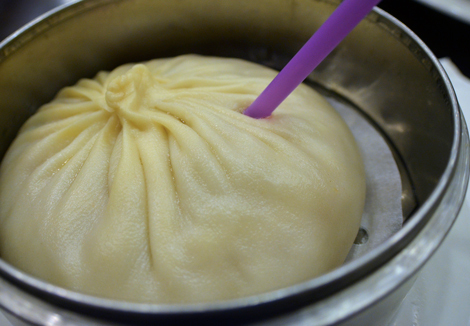 Wang Xing Ji is a soup dumpling specialist known for its softball-sized dumplings that require a boba straw to extract the liquid. The dumpling in question is called a xian bing—a pan-fried disc stuffed with heavily spiced pork and assorted aromatics. 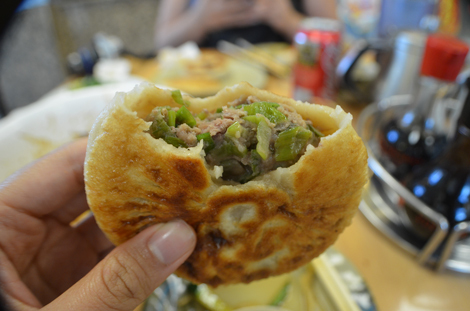 This is a Beijing meat pie and is arguably the most addictive stand-alone dish in greater Los Angeles area. Pies come flying out of the kitchen in plates of four. Pair the dish with their cucumber salad, and if you have a hankering for more carbs, Pie House does wonderful zhajiang noodles—cold noodles with thin cuts of cucumber and a dollop of fermented soy beans. The Sichuan wonton is called hong you chao shou. Hong you means red chili oil, and chao shou means ”folded hands,” a reference to how the dumpling is formed, and how—during the cold months in Sichuan—folks would fold their hands across their chest for warmth. 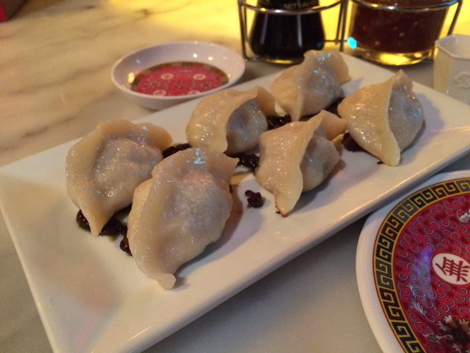 The wonton is usually served as an appetizer and the skin is delicate—bordering on translucent. Chengdu Taste, the Sichuanese king of Los Angeles, undoubtedly serves the best rendition in town. It’s stuffed with ground pork, and served over with a light chili oil infused with the potent Sichuan peppercorn—a notorious spice known for its lip-numbing after-effect. 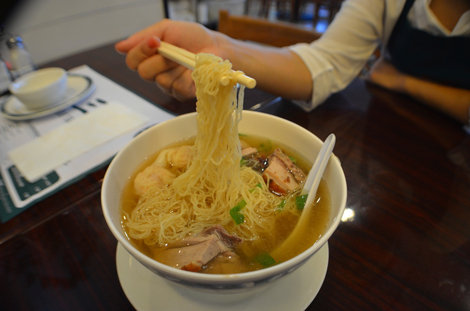 While Emperor Noodle is marketed as a noodle joint, their specialty is really the shenjianbao. Invented in the 1920s in Shanghai, the shenjianbao has become an iconic breakfast snack of the region, usually served outdoors on street carts. 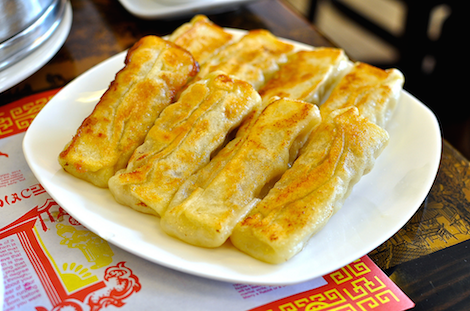 Stuffed with pork, it has a thicker skin than most dumplings. It is first steamed in a huge bamboo steamer and then pan-fried on the bottom before getting a sprinkling of sesame seeds. Fragrance is the key to a good wonton noodle soup, and the fortified broth from Sam Woo—an institution that has been open for over three decades—takes days to make. You can ask them to throw a piece of roast duck on top if you’re extra hungry, but the dish by itself is enough to satisfy. The wonton, stuffed with pork and shrimp, is served with egg noodles imported straight from Hong Kong. These sweet rice balls (tang yuan in Southern China, yuan xiao in Northern China) are traditionally stuffed with sesame paste or ground peanuts. It’s a common dish on the 15th day of the Lunar New Year. The roundness of the rice ball is indicative of a complete circle of harmony within the family. 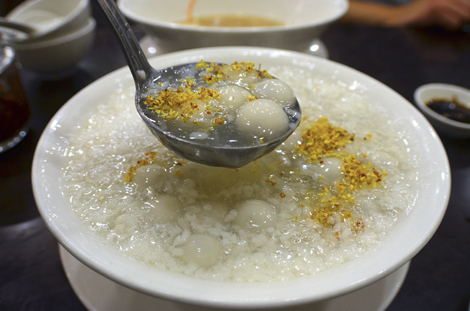 Emperor Noodle in San Gabriel serves a beautiful version spiked with sweet rice wine and dried osmanthus flowers. Tianjin is a coastal city in northern China known for an abundance of seafood and dough. 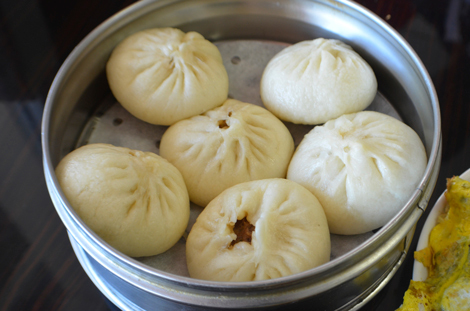 The Tianjin bao is a thick doughy bun, made with yeast so that it rises slightly. 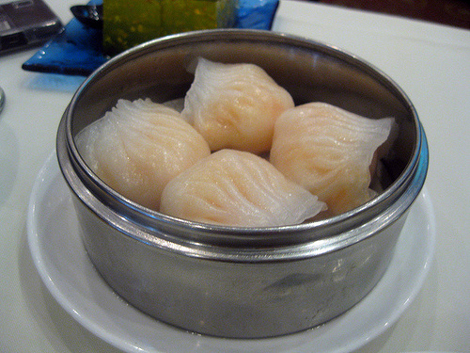 The remarkable quality about this dumpling is that it’s able to hold quite a bit of juice without turning soggy. Each bun fits perfectly in the palm of the hand. Pair it with a dash of black vinegar for an extra kick.